Often called la “Provencal Venice”, Port Grimaud is a small harmonious paradise between sky and sea, nestled in the Gulf of Saint Tropez. Since 2002 it has been part of the XXth century heritage and this riparian city givers a unique architectural offering, with a mixture of studios, apartments and sumptuous fishing houses. Amongst the canals and islands, amid the sails and the masts, it is a gateway to the open seas and freedom. The sweetness of living here is like nothing else, all your senses are heightened under this mediterranean sun where colors, scents and sounds mingle in the air. So when the dream becomes reality when you buy a property here, life suddenly seems to take on another sense, as this haven of peace is the ideal place to be. Port Grimaud has the peculiarity of being organized into private co-properties, which ensure maintenance and preservation of the property. Without being closed off to visitors, despite its private atmosphere, the heart of the city can be visited on foot. Indeed, vehicles are requested to remains outside and the peace and respect of the inhabitants is one of its major attractions. Who are the property owners in this lakeside city ? A large number of owners in Port Grimaud are company directors, often on retirement. Although a portion may not be part of the Jet Set like most their Saint-Tropez counterparts, this is because they have chosen to live a peaceful life far away from the spotlight and the clicking of the camera. So after having become acquainted with this unique and paradise-like place, let’s look further at the sought-after opportunities on offer to capture that rare pearl. If a studio is your preferred option, don’t worry because the town consists of around 2% tenants for 98% of owners (the latter being 50% of them French and 50% foreigners, most of them from neighboring European countries). This combination of unique real estate, which extends over 75 hectares, has a total of 2,400 accommodation options. The evolution of building in Port Grimaud has, over time, distinguished three areas that are managed by separate and autonomous trade unions. 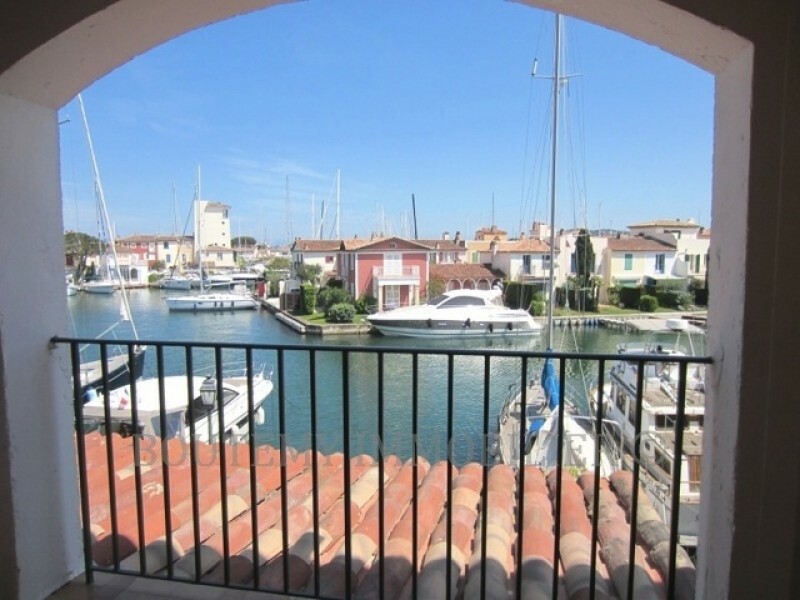 Boutemy Real estate specializes in Port Grimaud and is particularly well established in the market to assist you completely in this regard. From around twenty properties, ranging from a studio to 2 rooms, here are two which could correspond to your search criteria and could give you an overview of the numerous possibilities offered by our real estate agency. 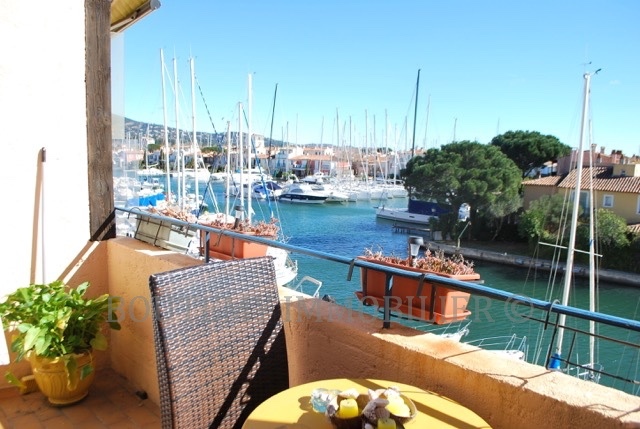 Firstly a large studio of 35 m², with a large balcony, an underground garage and a view over Saint Tropez behind closed doors goes for €239,000. There is also a cabin studio available with a loggia measuring 26 m², for the sum of €165,000, with a breathtaking view over the canals. It has a main living area with a kitchenette, a bathroom and a bedroom as you come in. The cherry on top is that it has a loggia facing the South east side of the canal, climate control and a parking bay with possibility of underground garage. This is an opportunity to take, and you can view it on our site boutemy.co.uk. In any event, when making contact with our agency you are in good hands, so without any further ado, come and pay our agency a visit or even send us an email to agence@boutemy.net with your search criteria. We will do what it takes to find the studio which will brighten up your days and enchant your nights. Cette entrée a été publiée dans English le 22 novembre 2016 par Boutemyblog.